A serial strangler who terrorized Wichita, Kansas, in the 1970s has resurfaced with a chilling letter and photographs to a local newspaper that claim responsibility for another murder. 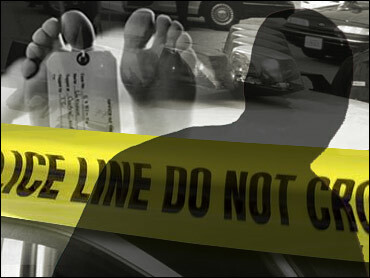 Police believe it was the eighth homicide committed by a killer known as the "BTK strangler." (Bind-Torture-Kill). A letter sent to the Wichita Eagle last week said the killer was responsible for the 1986 strangulation of 28-year-old Vicki Wegerle. The crime was never solved and was carried out seven years after the last communication from the strangler in 1979. The letter contained a photocopy of Wegerle's driver's license and what appeared to be three photos of her dead body. The victim's family said the driver's license was the only thing missing from Wegerle's home. "The photographs appear to be authentic," Wichita police Lt. Ken Landwehr told the Eagle. "I'm 100 percent sure it's BTK. There's no doubt that that's Vicki Wegerle's picture." The newspaper said Landwehr had been working the case for 20 years. The strangler sent a wave of terror through Wichita in the 1970s. Typically, he would first cut the phone line into the home of his intended victim or victims. His victims were bound, often tortured, and then murdered, usually by strangulation. His first victims - a couple and two of their children - were murdered in their home in 1974. Three months later, the killer struck again, stabbing a 21-year-old woman to death in her home. The strangler then revealed himself to police with a letter to the local newspaper claiming responsibility for the slaughter of the family. The letter contained details that could have been known only to the killer. "BTK" is not a media invention. It is what the killer called himself in letters to the newspaper. "This is a high functioning killer. He's a sexually sadistic offender and typically they have average intelligence, so this is a more formidable adversary," former FBI profiler Gregg McCrary told CBS News Correspondent Bob McNamara. Subsequent homicides showed that the killer had what can only be described as a warped and sadistic sense of humor. His voice was captured on tape in 1977 when he called police to report the death of a 25-year-old woman he had murdered. In letters to the media, the strangler called the force that spurs him to kill "Factor X" and compares it to the same force that triggered Jack the Ripper, Son of Sam and Los Angeles' Hillside Strangler. In one letter, the strangler wrote, "When this monster enters my brain, I will never know. But, it's here to stay." He later said, "The pressure is great and sometimes he runs the game to his liking. Maybe you can stop him. I can't. He has already chosen his next victim or victims I don't know who they are yet. The next day after I read the paper, I will know, but it's too late." The killer also had a passion for personal publicity. When a letter to the newspaper didn't produce the publicity he obviously craved, he sent a letter to KAKE-TV. In it, he asked, "How many do I have to kill before I get a name in the paper or some national attention?" The last confirmed contact with the strangler came in 1979. No one knows why he suddenly decided to go public once again. One line of speculation is that he may have been jailed for an unrelated crime for which he was recently released from prison. The Eagle reported that detectives were reviewing prison records in an effort to determine if the killer might indeed be among recently released convicts. Robert Beattie, a Wichita lawyer working on a book about the BTK killings, said most people he has talked with thought they stopped because the killer was dead or in prison. "The vast majority of police officers thought he was dead," he said. "I thought he was probably dead. But now you have to allow for the possibility that he's been walking around Wichita, getting his hair cut and acting like a normal person."